Club Sunset is one of the most popular multifunctional objects at Ada Ciganlija, beautiful oasis on the lake. 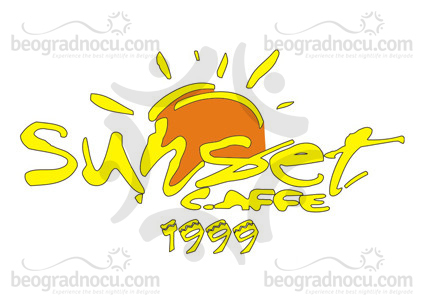 Club Sunset has a tradition more then ten years and during that period continuous progress. Owners of club Sunset are graduated from Faculty of Physical Education, so this club is center of sports happening. Club Sunset has organized school of swimming, roller skating and diving. Club Sunset is also base station of diving school ''World of Diving''. Club Sunset has playground so during a day is suitable for everyone. Soon after opening from seasonal changes club Sunset transformed into the club opened whole year with warm winter ambient with big open fire place in the center. Besides keeping you warm this open fire place is ideal for making traditional specialties. Within club Sunset there is a restaurant with wide selection of delicious meals and deserts. The real curiosity is that club Sunset has delivery from their own menu called '' Sunset Halo Kašika''. Beautifully arranged club Sunset beach is ideal for watching sunset. That's how this place got his name. In the evening, club Sunset transforms from peaceful place for relaxation into the night club with live band performances almost every night. All this years club Sunset has put effort to provide its guests comfortable and pleasant stay and will continue in future.